The gallery celebrates its 10th with a fundraiser and "Habana: An Intimate Portrait"
Wish ViewPoint Gallery a happy 10th birthday by walking its red carpet fundraiser this Friday, from 7-9pm. Local leaders such as Argyle Fine Art's Adriana Afford, councillor Dawn Sloane and Fred Connors of FRED. beauty food art. and Whet Cafe have donated photos they've taken with both vintage and digital cameras, which you can bid on at an auction later in the evening (while eating the food, wine and beer provided). Don't let the fundraiser take all your attention, though: Anne Launcelott's exhibit, Habana: An Intimate Portrait is also on display. "When I heard Obama was thinking of easing his travel restrictions to Cuba, I knew I wanted to see Havana and what it's like under the Castro regime before things might change or become a little more Americanized"---basically before the McDonald's shows up. 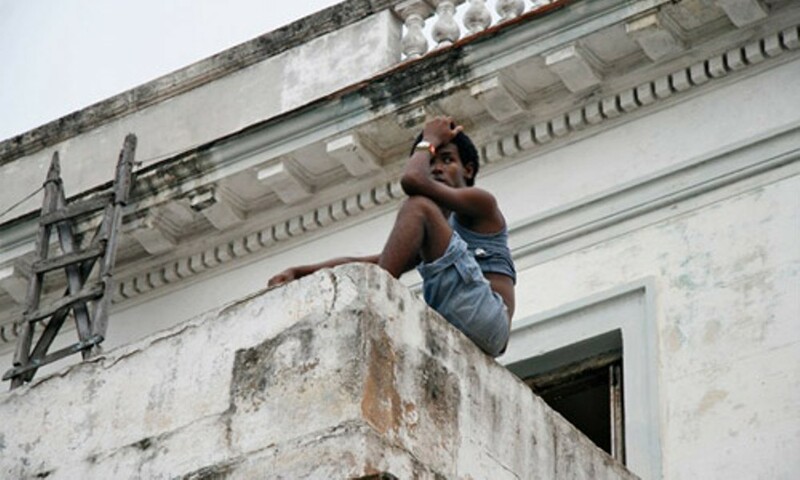 Launcelott took her camera to Havana at the end of June, 2009, and walked all over the city, "discovering the culture." You can talk to Launcelott at her street photography artist talk Thursday, November 11 at 6:30pm.